Since October 2017, the waste accepted for disposal through the Essex council civic amenities sites has changed. Households now find it increasingly difficult to dispose of waste that is produced at home, however this could potentially be from a trader who works in other people’s homes during the week and then disguises his trade waste as household without having to pay for disposal. The waste carriers license was set up to be so cheap, that any reputable trader would pay the minimal cost of a license, so they would operate within the law. 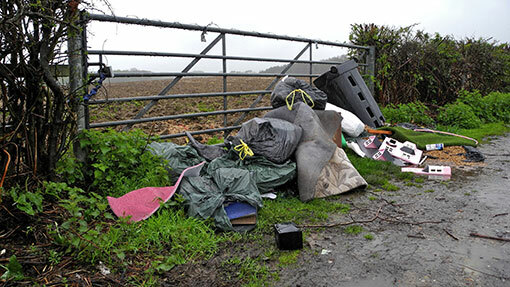 There is still a nationwide issue of fly tipping, the changes locally have led to an increase of incidents across the county. Do we need to take a collective responsibility for our waste disposal, or should the cost be met by the waste producer? If I pay a man who I suspect is operating outside the law to dispose of my old bathroom, does the issue of the waste cease being my problem when I pay someone to take it away? If I know they could possible fly tip my suite in a quiet country lane, is it still my problem? The environment agency recently published an article on a new style of fly tipping, I go and rent a unit with a yard attached to it, I then drive round in my small tipper truck and collect rubbish, offer no paperwork in return for the payment, I drive to my new rental unit and look though my collections remove anything of value and head back out, all the time I am undercutting competitors by charging very little. I ask few questions, I just keep collecting and sorting, cashing in valuables and charging. My unit is filling up fast, but the landlord has not completed any reference check on me, never checked my waste carriers licence and has taken 3 months’ rent in cash in advance, I fill up the yard and disappear in cloud of Asbestos dust created from my last illegal waste collection. If we do not take a collective responsibility to the disposal of the waste we generate, fly tipping and general littering will continue to blight our countryside and maybe the empty unit down the road.